Use discount code MRGMCMR19 for $5 off your Marine Corps Mud Run registration!!!! First and foremost I am relatively new to the whole OCR thing but I must admit I am hooked. I have run a Warrior Dash (AZ) and a Terrain Racing (Temecula). All fine events to be sure and solid beginner or novice course. As I am told. 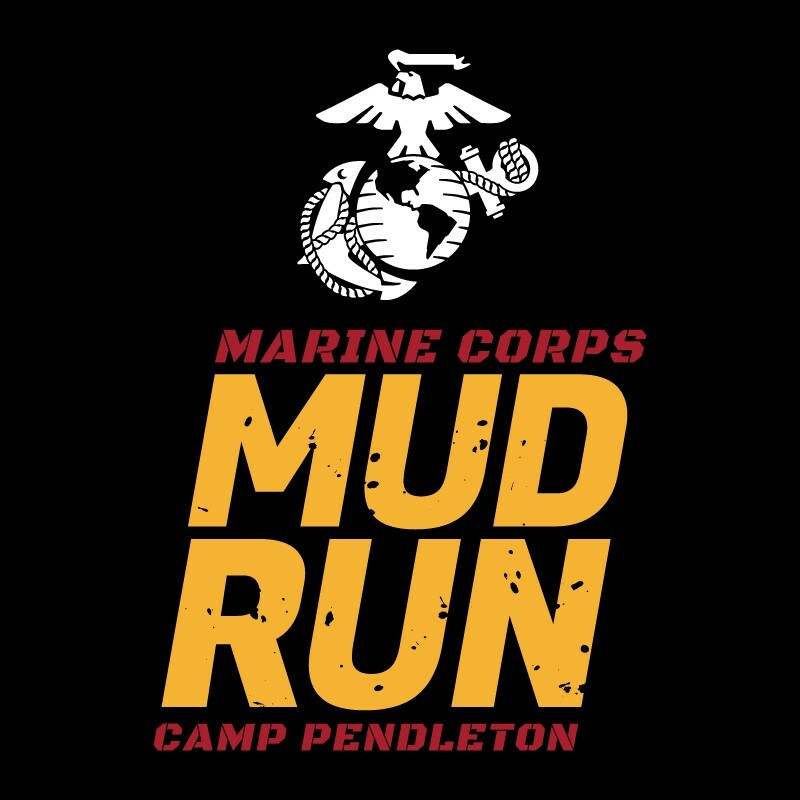 In my quest to find a bigger challenge, as I work my skill, strength, and training toward Spartan, BattleFrog, and Rugged Maniac, I discovered the World Famous Mud Run at Camp Pendleton. In a delusional fit I signed up for the 10K. And why not? Approximately 6 miles at Camp Pendleton along the Pacific shore would be a relative walk in the park. The run starts as they all do: In the corral. A couple hundred yards on asphalt and the hose hit you. Thoroughly soaked to the bone you head off-road and onto the trail. A few minor obstacles - lunges, lifts, etcetera - the first real obstacle hits. And that is the first hill after a very sandy ravine. One of the best parts of this race occurs relatively quick as we run up a hill and hit an overlook that is breathtaking. Not that I noticed as I sucked air, suffering every step. Body drag, not so bad, and running again. Did I mention the Marines cheering you on? At every obstacle and aid/water station. Did I mention Navy Corpsmen asking me if I was okay? This happened almost from the start. After dragging a 120 lb body around for twenty or so yards you enter Combat Town. This little stretch is built up as a training course for actual combat teams. Very cool. There was a badass tank to look at and recorded gun fire which was just odd. After town another hill! More obstacles - jug carry, four foot barrier jump and down hill!!! Sweet baby Jesus down hill!!! At the bottom you get to do ten pushups (Yes mom I did it) and then through the muck pond and an 8 foot wall. By now you are tired. Well...I am tired. My running speed barely kept up with a nine-year old girl walking...slow. But I was running. One of the more unique obstacles was Slippery Hill which is just that. A nice steep climb up a hill being sprayed with water. At the top another stellar view or so I was told. My vision had begun to blur from all the sucking of air and lung cramps. Another downhill which I found myself rolling down. Not recommended. A few more steps, a little more mud crawling, some more pushups and I am done!!! Eighty minutes. Felt like several hours. The pros of this run are many. The course is not the most intense obstacle-wise but the terrain changes, shifts in temperature, and military presence make it a blast. The festival area is first rate with lots of vendors, giveaways, and food items. Did I mention parking two miles away and riding a bus to the drop off AND walking a mile to the starting line? I didn't because buses are frequent, waiting limited, and excitement high. Overall I recommend this OCR to ...well...everyone. Even 52 year old men working through their midlife crisis trying to keep up with 20-somethings running in the mud!